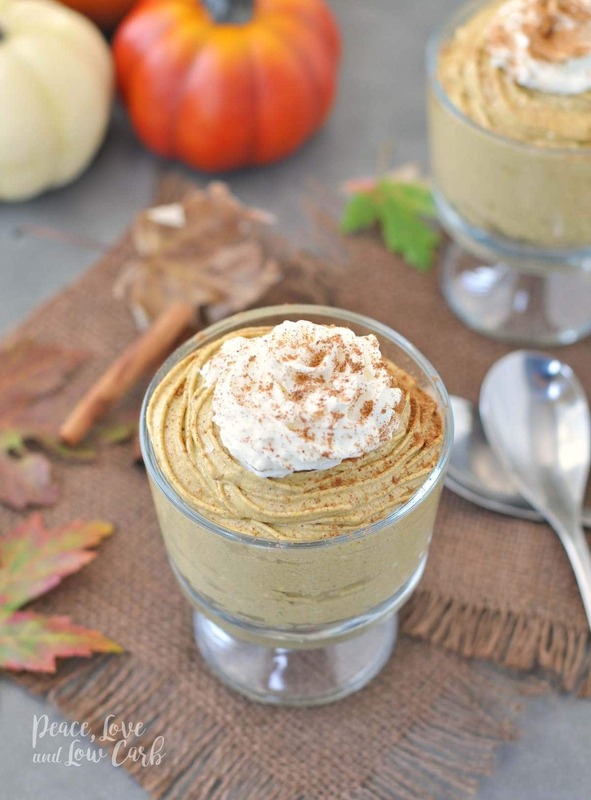 I have been waiting all year for an excuse to make this low carb keto pumpkin cheesecake mousse. I just love all the fall flavors. In fact, before the first leaf even fell from the trees in our yard, I was already sipping on this Pumpkin Spice Boosted Keto Coffee. I love the time of year. Pumpkins lining the porches of all my neighbors, leaves changing colors and blowing int he wind and the hint of winter in the air. 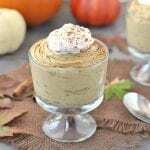 This low carb pumpkin cheesecake mousse recipe has all the flavors of a low carb pumpkin pie, but with a deliciously creamy, whipped texture. It is sure to become a fall favorite. I like to top mine with a little fresh low carb whipped cream. To make the low carb whipped cream, I just whipped heavy cream, vanilla extract and natural low carb sweetener together until stiff peaks formed. Then put it into a pastry bag and you are good to go. 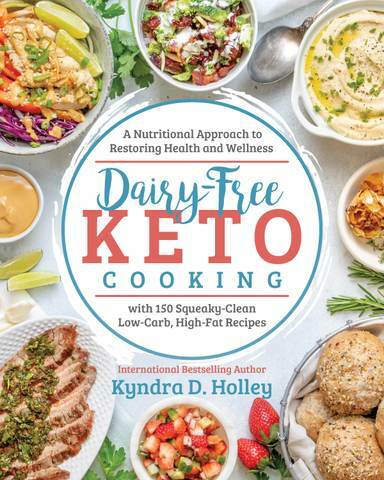 Any thoughts on how I could make this dairy free? I haven’t tried but coconut may work in lieu of cream! Let us know if that works! By the way, I just made the recipe as is and it is fantastic! I actually remember putting real sugar in a food processor to turn it into confectionary sugar…so I just tried with the Erythritol and it did make it much finer …. I too only had 3lb bag granulated erythritol, so I pulled out my old Black and Decker small coffee/spice grinder, put in enough to reach fill line and gave it a few whirs and tadah, powdered erythritol, so since machine needed cleaning when done anyway, I got out a container and whirred another half pound to keep on hand for future recipes. It beats buying a second bag of powder variety, now I have both. But we would still use 1/2 cup if we used pyure instead correct? Pyure stevia blend (the one with erythritol) does not measure like sugar, like Swerve does. Pyure measures at half, as it is twice as sweet. I have just put mine in the fridge to set after taste testing it. I was going to use 1/4 cup, but ended up using 1/8, as that was plenty sweet for me. Just made this and it’s delicious. Not too sweet and good spice Thanks for a great recipe! Thank you. So happy you enjoyed it! I have lost track of how many times I have made this since finding the recipe! I have served it to company and many family members and without fail it was a huge hit! 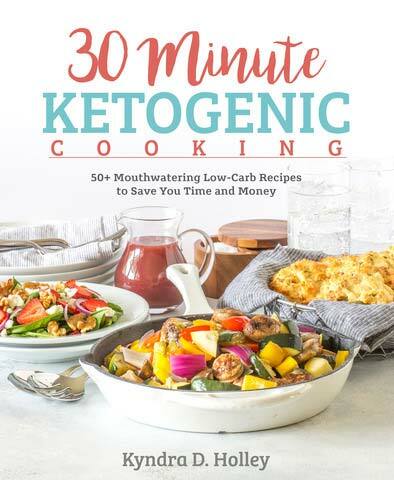 I cannot thank you enough for all your wonderful recipes, without people like yourself who take the time to put it all together for people like me, I would be LOST! I have great admiration for you and all that you accomplish to bring great food to the table! Thank YOU! That is pretty much the best compliment ever. Thank you so much. Happy you enjoy it. Hi, What is net carb of this desert? I have made this probably 25 times since finding ur recipe OMG it’s the best I have ever had, n so easy too. I have shared this recipe with so many people. I know u use the powdered swerve but I use the regular swerve n I love it, not grainy tasting at all. I have a pie crust recipe that I use I think I might just add it to the pie crust n serve it like that instead of pudding cups, do u think that would be a problem?? Anyway just want to say Thank u so much for all ur recipes, n u and ur family Have a happy Thanksgiving. So yummy!! Doesn’t taste like sugar free at all. I’ll be making this again – thank you!! VERY nice! I used raw honey, about a tablespoon, to add a little sweetness to it, and it turned out great! Can’t wait for my boys to try it this evening! HI! 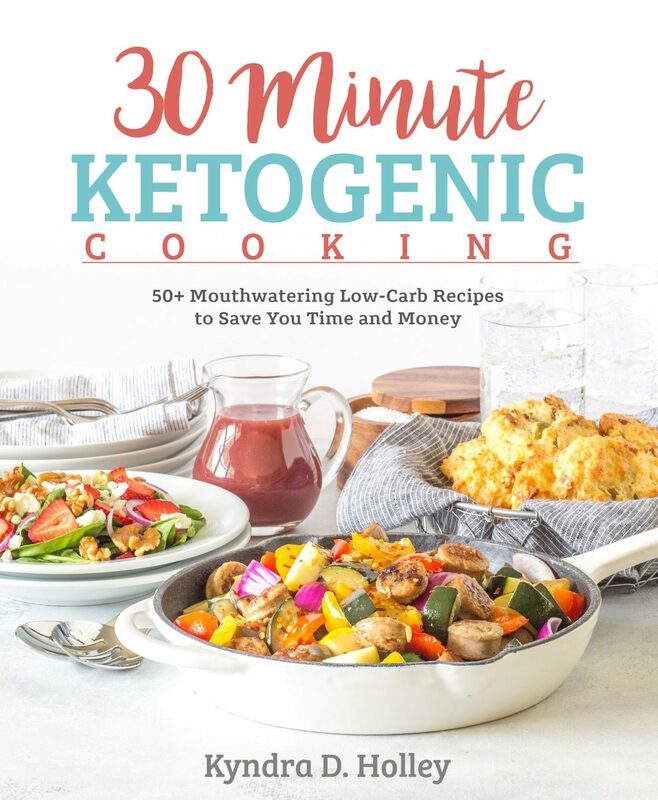 My Mom, Dad, and I are just getting into the Keto diet.I was a little skeptical about the variety of the desserts i could make, but then I found this website! I just tried this recipe , and OMG, I’m in love!!! It’s so good and creamy! This looks so good! What a yummy fall snack! Sounds delicious but here in Thailand canned pumpkin puree is not available and neither is the sweetner you list. 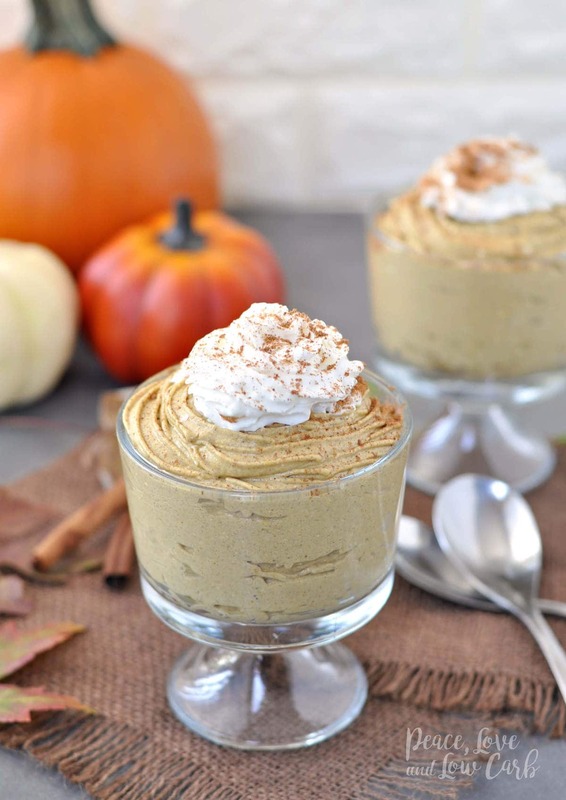 How about a recipe starting with a pumpkin? To use raw pumpkin you will need to cook the pumpkin. Preheat your oven to 375F Cut the pumpkin in half. Scoop out the seeds and strings. Place the pumpkin cut side down on an aluminum lined baking sheet. Place it in the oven and cook for approximately 50-60 minutes. Cooking time will vary based on your oven and the size of the pumpkin. Once cooked, pull it from the oven and let it sit a bit to cool down. Use a spoon to scrape out the flesh from inside of the pumpkin. I use a hand mixer to beat it to a puree. Measure out what you need. I can be frozen for use at a later date. I use quinoa cream instead of whipping cream. cook quinoa and vegetable broth and blend with almond milk works great. What is the serving size. I just made and it is chilling. Just licking the spoon makes me want it now! Just made this tonight. Thank you so much for sharing this recipe. Not only delicious, but super easy too. Loved it! This will definitely be what I bring to Thanksgiving this year. The pumkpin mousse was delicious. I’m so glad I found this, makes me feel like I’m not missing out on the fun of Fall ! 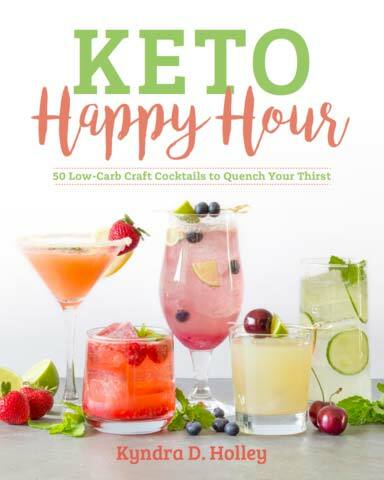 I made this to take to an activity with my group of non-keto lady friends. It was so delicious and they all thought so too. They could not tell it had no sugar. Thank you so much for this recipe. I’m having a hard time finding unsweetened pumpkin purée. Could you please tell me which one you use. Thank you! Wonderful! Made this & it was easy & delish! Thank you so much for the recipe! Very good. I topped it with toasted buttered salted pecans and whipped cream.. Yummy! How long ahead of time can you make this? Can I cut all ingredients in half to make 5 servings instead of 10? Or that would mess the recipe up? Looks delish! 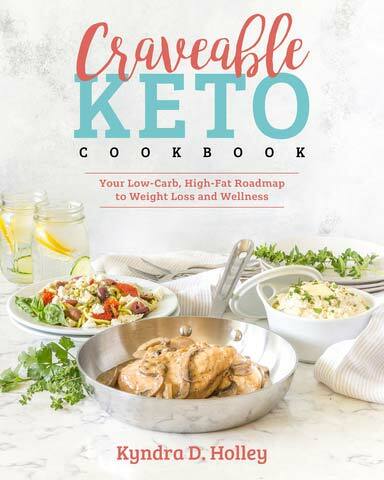 I made this for my husband who has been eating the Keto way of eating. He loves pumpkin pie and I wanted something he could eat on Thanksgiving. Didn’t have powdered erythritol, but put the granulated erythritol in my magic bullet and it worked perfectly. It was a hit. I’ve made it many times since then and use it for a fat bomb for him. He was so happy to have his pumpkin pie and it’s now something he requests all the time. Plus, my kids loved it and dipped apples in it. Yummy! Thank you! Fast, easy and delicious! I drizzled a little “sweetened with stevia” chocolate over each serving instead of the whipped cream. I just made this for the first time, I am new to keto so food prep is so important, made a huge batch put into small dessert cups for the week. I had to try before I chilled though, sooo good, I think I will try my liquid pumpkin spice next time, not sure if it’s because it isn’t chilled yet but it’s grainy, still yummy though!